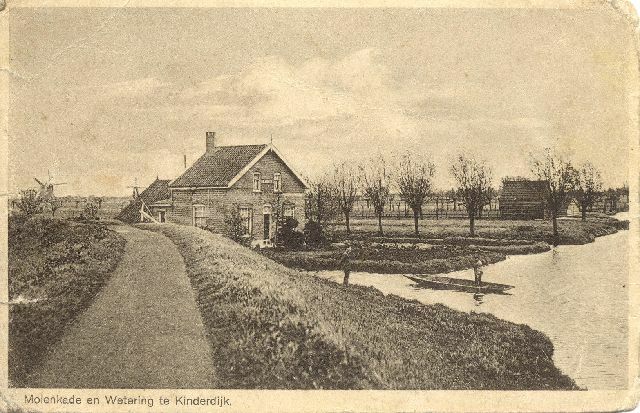 Decades ago the Van den Haspel family started a cattle farm at the current location at the Molenkade. 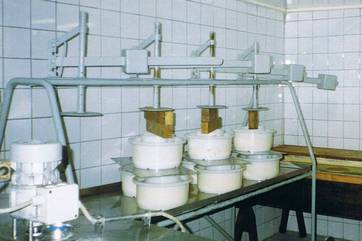 Besides agricultural activities, mrs. Annigje van den Haspel (1916-2015) has also exercised the making of cheese following traditional recipes well into old age. 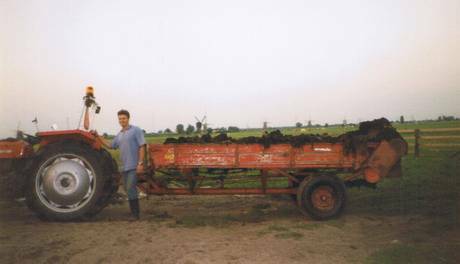 In the early eighties André van Houwelingen (born 1972), also as as hobby, started with the support of the family while they got older. André, by origin educated as mechanical draftsman, has in this situation combined his daily job with his agricultural hobby during several years. 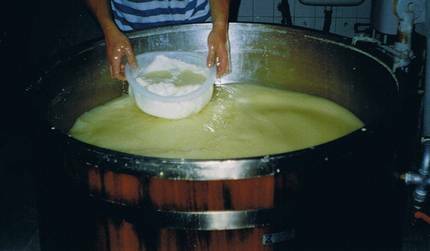 He then also got inspired by the unique processes of transforming milk into cheese, herewith learning the details from mrs. Van den Haspel. After the decease of mr. Albert van den Haspel (1908-1994), mrs. Van den Haspel and André started an even closer cooperation in the middle of the nineties. 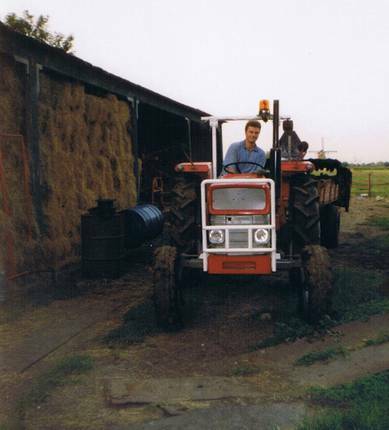 André then decided to focus in full at the farm and end his salaried career. 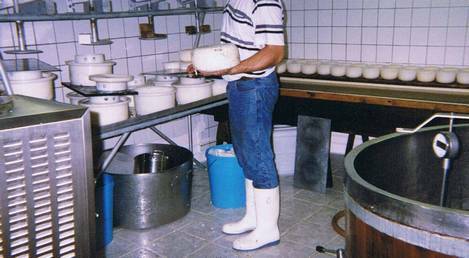 He was herewith driven by his love for animals, the farm life and his new passion: making cheese. 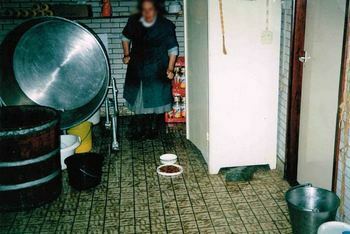 Pictures of the company in its early days. Besides the pictures here below, we unfortunately do not (yet) have further material available about our history. In case you have some pictures (farm, surrounding etc. ), then we would be pleased to scan them in order to make the historical overview as complete as possible. It started from within the garage of the house. 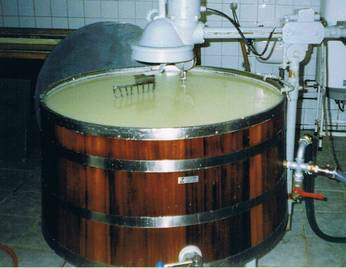 The cheese tub, used to learn the profession. André while heating the cheese curd. The disposure of whey in provisional manner. 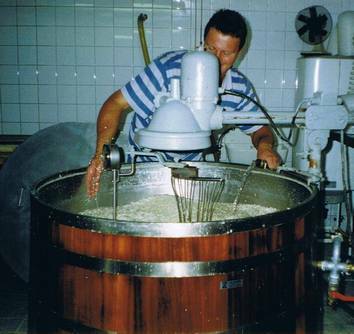 The curd was manually put into cheese nets; a heavy exercise when you imagine that a normal cheese weights about 5 kilograms, with in addition the whey which has not been squeezed out yet. 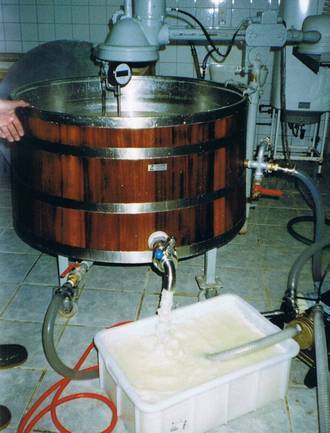 Placing the cheese barrels under pressure. The wooden barrels had by then already been replaced by synthetic ones. The ancient cheese press which still works with weights. 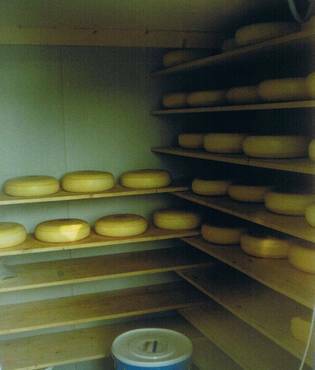 The very first cheese storage with space for some dozens of cheeses. The removal of hay bales used to be manual labour in history, a dusty and heavy job. 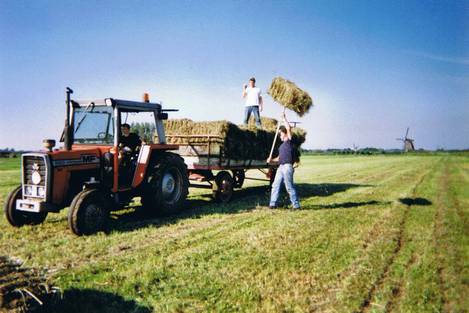 Nowadays almost all hay is pressed into huge bales as you can see elsewhere on our website. Storage of hay used to happen in hay sheds to keep it dry. Nowadays it is wrapped into plastic which enables open air storage. Also the used machinery was much smaller.